I was looking through old photographs for a picture of Carter as a little guy to put in my Skater Boy post and came across this picture from June of 2010. It made me laugh out loud and I love it so much it is currently my desktop picture. The picture was taken at a one year anniversary party of a small specialty grocery store in our town. They had free BBQ, face painting, discounted items, and gift baskets. They were also helping out a small start up brewery in our area by allowing them to hand out their free promo beer cozies. This is what Carter decided to do as soon as he could get his pudgy two year old hands on them. It begs a whole new definition to the term “beer goggles” and I love it so. 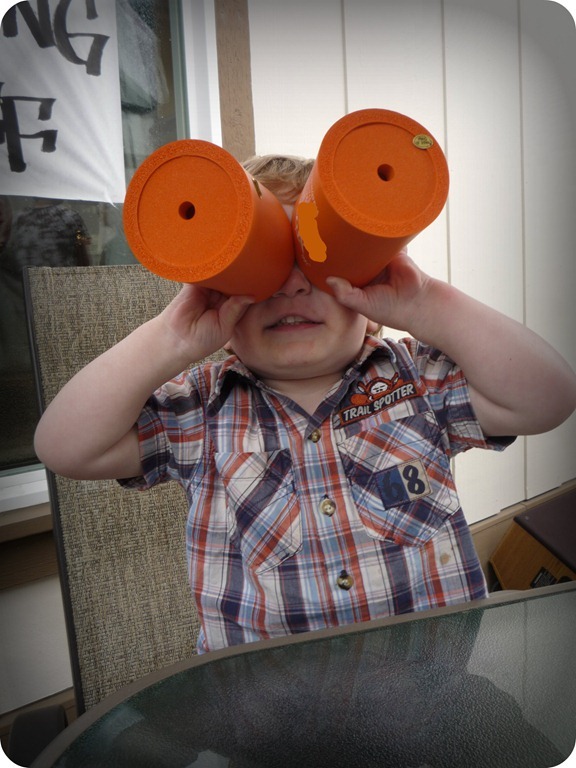 After I decided to write a quick post about Carter’s beer goggles I had to look back over numerous folders containing hundreds of pictures because I could not remember where the picture was. I started to notice an eyewear theme Carter had going on for most of 2010 and part of 2009. If you will indulge me, I would like to share these with you. He looks pretty smooth in whatever color or style sunglasses he puts on. 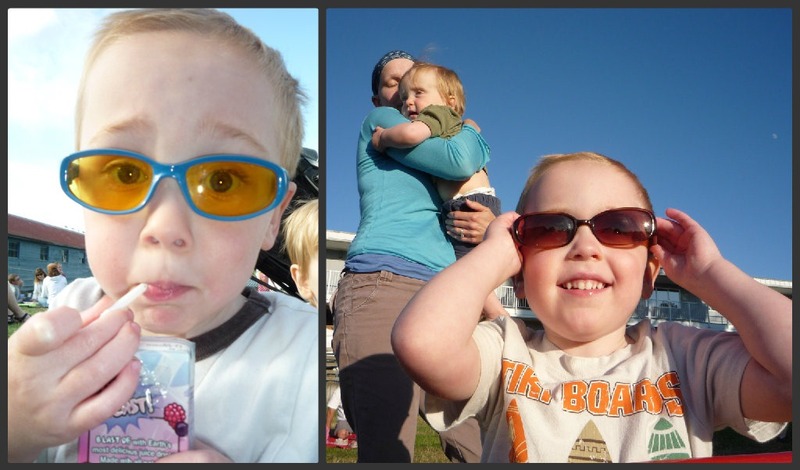 We sure had a lot of little kid sunglasses! 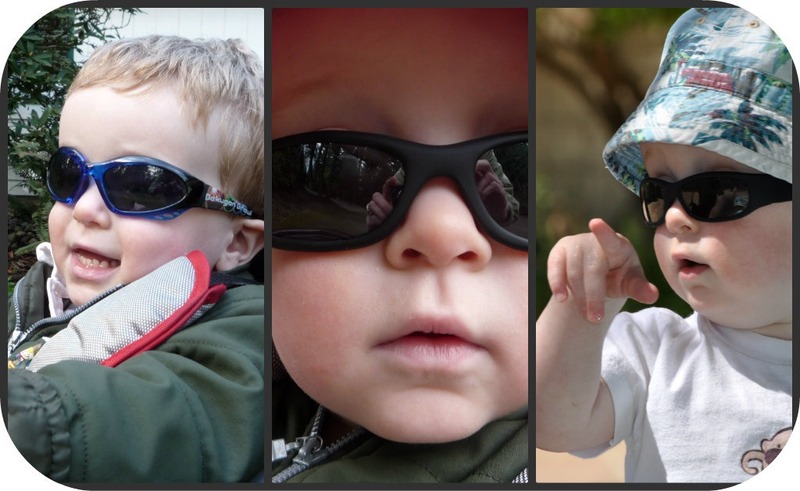 Not to leave Cody out here are a few I dug up of him looking rather fetching in his shades. And yes that is me, pre-hair, holding what appears to be a rather grumpy Carter. Maybe if he was wearing glasses he would not be so grumpy. And here are two more of Carter that have nothing to do with sunglasses but that I want to post just because I can. 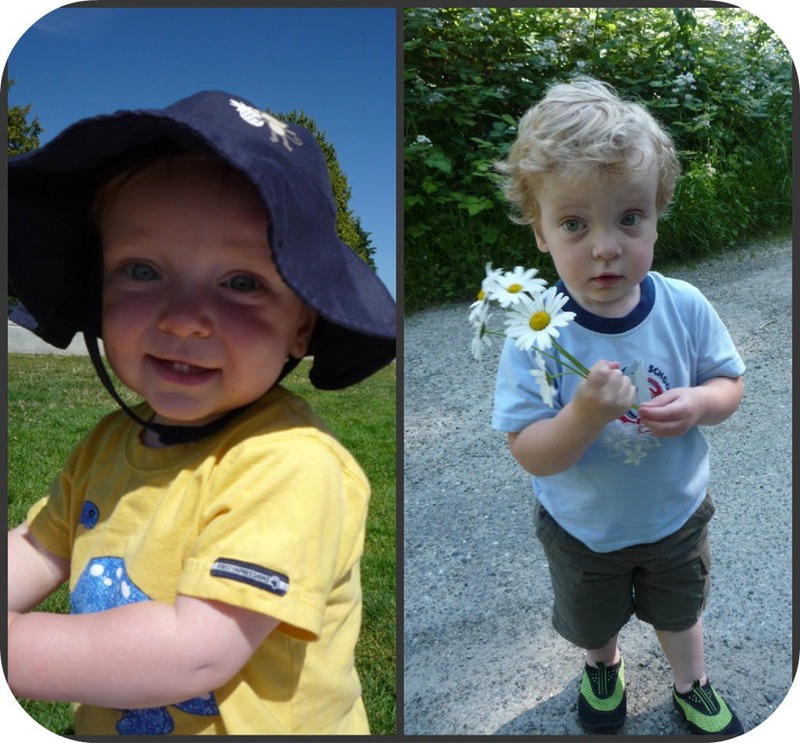 I really wish I would have started this blog when the kids were babies so I could have subjected you to painfully cute pictures of the boys such as these, all the time. This entry was posted in Little Feet and tagged beer cozies, Beer goggles, Childhood pictures, Children, Family, Humor, Kids, Life, Photography, style, Sunglasses. Bookmark the permalink. I thought so and couldn’t resist sharing them. Good job keeping your kids’ eyes protected too! Completely and totally adorable – a perfect post for a Friday afternoon! Subjugate us all you want! Youve got some adorable kiddos. Oh, I have thousands upon thousands of pictures thanks to digital technology, don’t tempt me! They are pretty cute kids if I don’t say so myself. Painfully cute is right! Your boys are rockin’ in their shades. What a unique and happy montage. Subject us anytime! I did notice something, you mentioned you in a picture, “pre-hair.” Are you a cancer survivor? Please forgive me if you’ve mentioned this and I’ve forgotten. But when I read that I was struck. Either way, I will send you happy, healthy vibes, and many more bright days in your future to bring on those adorable shades. They certainly know how to rock the shades! Thank you! 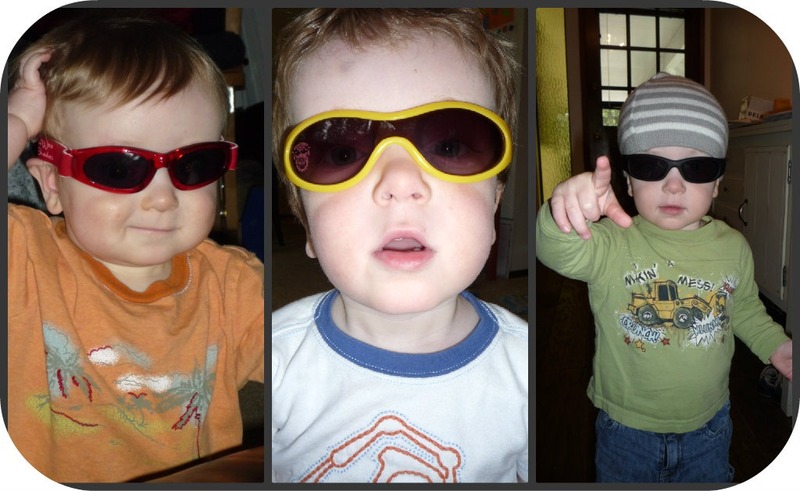 I had no idea I had such a collection of photographs of Carter in shades. It was fun to put together.